Old Fashioned Deviled Eggs | K.I.S.S. Bring the water and eggs to a boil. Once you get a good boil, turn the heat off and leave the eggs and water on stove until cool enough to touch. Peel your eggs while at room temperature. Cut peeled, boiled eggs lengthwise. Put all yolks in a separate bowl and lay egg whites open side up. Use a fork to chop up the yolks until starting to look creamy. Mix the yolks with the mayo, mustard, salt and pepper until creamy. Fill each egg white with a rouded teaspoon of the yolk mixture. 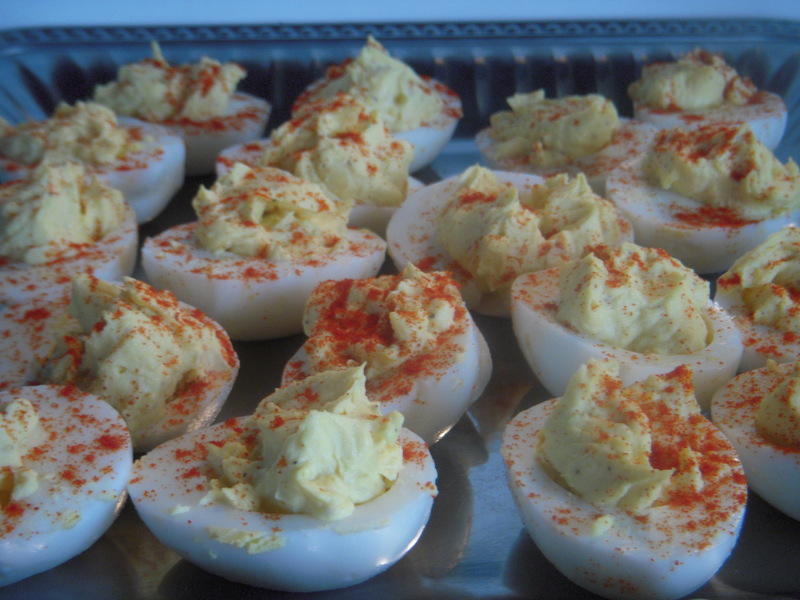 Sprinkle the tops of each egg with paprika, just enough to give it some color.